Lecturer, Department of Oral Medicine, Periodontology, and Oral Diagnosis, Faculty of Dentistry, Fayoum University, Fayoum, Egypt. Assistant Professor, Department of Oral Biology, Faculty of Dentistry, Cairo University, Cairo, Egypt. Associate Professor, Department of Oral Medicine and Periodontology, Faculty of Dentistry, Cairo University, Cairo, Egypt. Background: Regulation of the plasminogen activation system (PAS) is a vital component in governing proteolytic events within the extracellular matrix (ECM). PAS is believed to play a substantial role in the destruction and healing of periodontal tissues. 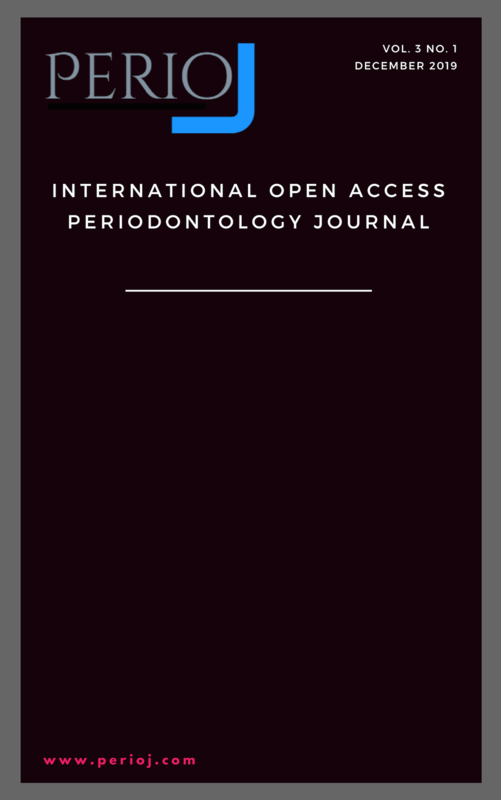 Thus, the current work aimed to study the histopathological effect of open flap debridement (OFD) on periodontitis, as well as its effect on tissue plasminogen activator (t-PA) and plasminogen activator inhibitor type-1 (PAI-1) gene levels in gingival tissues. Methods: A total of 30 subjects were enrolled in the present study. They were divided into two groups: Group I (control group) included 10 periodontally healthy volunteers and group II (periodontitis group) comprised 20 patients suffering from stage III grade B periodontitis. Gingival tissue samples were collected from all periodontitis patients, before and after OFD, and from healthy controls. Hematoxylin and eosin (H&E) stained slides were subsequently examined and gene expression levels of t-PA and PAI-1 were assessed in the gingiva through quantitative reverse transcription polymerase chain reaction (RT-PCR). Results: Gingival tissue samples from periodontitis patients showed dilated blood vessels, diffuse hemorrhage, areas of edema, and disorganized collagen fibers together with large amounts of inflammatory cells in between. Following OFD, smaller sized blood vessels, a restored collagen fiber distribution, and an obvious decrease in the inflammatory infiltrate were noted. Gene expression levels of t-PA and PAI-1 were significantly higher in the periodontitis patients compared to the healthy controls. Although their levels showed a significant decrease following OFD in the periodontitis group, they were still significantly higher than the control group. Conclusion: OFD procedures resulted in down regulation of t-PA and PAI-1 expression levels in the gingiva of periodontitis patients, which could signify an important role of these proteins on periodontal disease progression.